Hawaii is a group of islands in the Pacific Ocean approximately 2,300 miles (3,700 kilometers) from the West coast of North America. 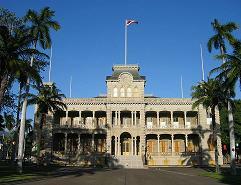 The islands were annexed by the United States in 1898, and became the 50th state of the Union on 21st August 1959. Some of the leading educational institutions in Hawaii include Hawaii Pacific University ("HPU") (in Honolulu), the University of Hawaii (in Manoa) and University of Hawaii Manoa ("UH") (in Honolulu). 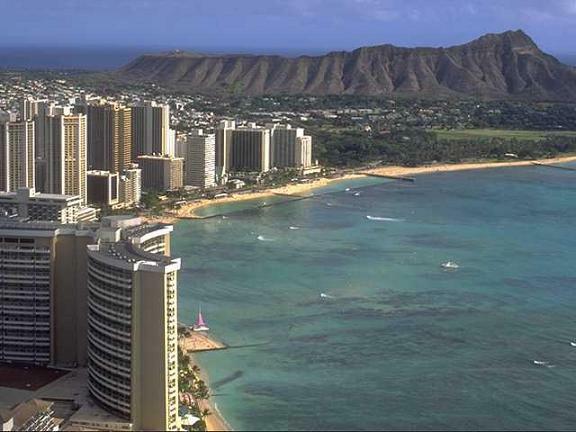 The principal airport in Hawaii is Honolulu International Airport which is in Honolulu. Books containing travel information about Hawaii. History books and information for Hawaii. Towns and cities in Hawaii.